This April 12, 2018, file photo shows White House senior adviser Jared Kushner at the White House in Washington, DC. President Donald Trump's son-in-law, Jared Kushner, has been granted a security clearance after a lengthy background check, a move that ensures the key White House adviser with a broad international portfolio can have access to some of the country's most closely held secrets. Kushner, who serves as a senior adviser on the Middle East and other issues, was among many White House advisers who had been operating for months without full security clearances. That led to a policy overhaul in February that downgraded access to sensitive information for Kushner and other White House officials who held interim clearances. 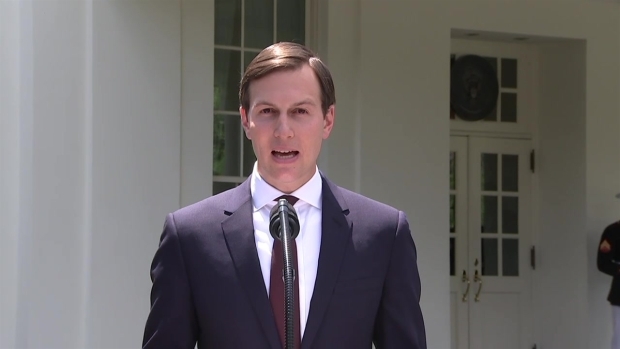 "With respect to the news about his permanent security clearance, as we stated before, his application was properly submitted, reviewed by career officials, and went through the normal process," Kushner's lawyer, Abbe Lowell, said in a statement. "Having completed these processes, Mr. Kushner is looking forward to continuing the work the President has asked him to do." In addition, Kushner was interviewed for a second time last month by the office of special counsel Robert Mueller, who is investigating potential ties between the Trump campaign and Russia. "In each occasion, he answered all questions asked and did whatever he could to expedite the conclusion of all the (investigations)," Lowell said. The second interview occurred in April and concerned topics such as potential influence by foreign governments, including Russia, and the firing of former FBI director James Comey, Lowell said on CNN. The interview did not deal with Kushner's finances or his companies, he said. Kushner was with Trump in New Jersey the weekend before Comey was fired, and he was among the attendees at a June 2016 meeting at Trump Tower with a Russian lawyer at which the president's oldest son was told he would negative information about Hillary Clinton. Kushner — the point of contact for foreign officials during the campaign and transition — was also alluded to, though not by name, in Flynn's guilty plea as a transition team official who encouraged Flynn to contact representatives of foreign governments, including Russia, about a U.N. Security Council resolution against Israeli settlements. FBI background checks for security clearances routinely examine an applicant's financial holdings and foreign contacts. 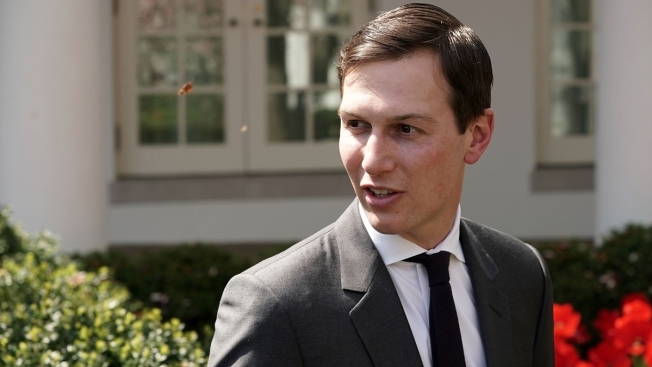 The delay in Kushner's case was caused by a backlog in the new administration and Kushner's extensive financial wealth, which required lengthy review, Lowell said. Jared Kushner denies that he had any ties to Russia during President Trump's election campaign. He said Kushner's clearance was decided by career officials in the intelligence community and the FBI. "It happened the way it happens for thousands of people," Lowell told CNN, noting, "There was nobody in the political process that had anything to do with it." As the application process was pending, Kushner's "top secret/sensitive compartmented information" access was downgraded in February when White House Chief of Staff John Kelly ordered that officials with interim clearances be cut off if they hadn't received permanent clearances. That meant Kushner was able to see information only at the lower "secret" level, but not highly classified information. Mark Zaid, a Washington lawyer who specializes in security clearances, said that though it's hard to say with certainty whether Kushner's clearance means he's not facing legal jeopardy from Mueller, "At least looking at the facts as we know them today, it leads me to believe he is no longer in the crosshairs." Associated Press writers Chad Day and Zeke Miller contributed to this report.